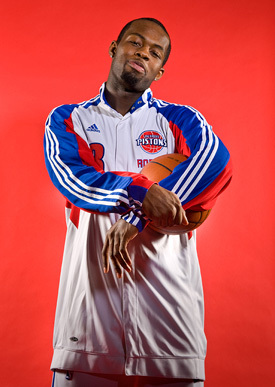 [ May 11, 2009 ] Tom McKenzie is a Detroit area, Michigan based people photographer. Tom enjoys making pictures in-studio or on-location. He shoots editorial portraits, and lifestyles for various clients including Dime and 94x50. Collaboration with creatives, stylists, and other professionals help Tom remain at the top of his game. Since I was born I guess, sounds crazy but haven't we all. You see something and remember it. Snap, a mental picture. I started to make pictures when I was a kid, I used to like to draw. I was starting to get an idea to a medium, not all that well though, then in high school I started to use a camera and it turned into a passion. What type of photography is your "passion"? People, anything to do with people. I truly enjoy working with all kinds of individuals. I always find some common ground and go from there. Comfort, relaxation, and trust are key to making a great picture of someone in my opinion. I have been influenced by some of the best portrait photographers in the business. Frank Okenfels 3, Andrew Eccles, David Johnson (takes pictures) and Kevin Garret to name a few. Frank has showed me it is okay to be creative, trust my own personal work, he has help me more ways then one could ask for, Andrew shared all the technicalities of his lighting and has been a friend and influence since. David and Kevin, well lets just say they are the cornerstone of my photographic world, their friendship, work ethic, and determination has proven there is light in this not so bright of times. My dream shoot would be one where the collaborative efforts of all the creatives working together on a project, achieve the vision that is perceived before the shoot. I know everyone gets close to the idea and you ultimately get the shot that works, but I mean virtually no creative gap. You know the vision in your head matches exactly what is captured, wouldn't that be fulfilling? OPW (other peoples work), I love the classics of the famous, to the new talent on the web. I have tons of magazines, books, and I am always looking on the internet, one idea leads to another, leads to another. So much inspirational work out there, I love the overload. There is always something new to see, not new in the sense of just produced, but new in the sense that I have not seen it before. There will always be something fresh for the years to come. It is hard sometimes, but I try to keep my cup half full. I see continuing changes both in personal growth and the photographic market. There still will be a need for photography no matter what, just how it is captured, processed, and used may be different. Be it what it may, I will evolve with the process. I propose to stay at the top of my game with the talent and inspiration of the great creative community this world has to offer.